She has just received the coveted Gulf Hotel Group’s CEO Award, presented annually in recognition of an ‘outstanding contribution’ to the success of the company by an employee at any level of the organisation. Tala, 30, from East Riffa, who heads up the team in the Gulf Hotel Bahrain Convention & Spa’s Fusions restaurant, began her career as one of the company’s management trainees and attended a leading Swiss culinary school to help perfect her art. “I’m extremely proud to have even been considered for this prestigious award,” she said. “It’s been a long, gruelling road up until this point, so to be recognised by management for my hard work makes all the blood, sweat and tears worth it! “Working in the hospitality sector isn’t a nine-to-five job. You spend long hours, actually most of your hours, at work but it is one of the most rewarding things you could ever be part of. You can find a sense of purpose that would be very difficult to find elsewhere. The former Ibn Khuldoon National School pupil signed up for the hotel’s management training programme in 2014. “The training lasted around one-and-half years and it consisted of doing a rotation in the main kitchen, starting with butchery, and then continuing through all of the restaurants in the hotel. Chef Tala attended the Culinary Arts Academy in Luzern, Switzerland for two years and received an MBA in Culinary Management. She had to show her ability of understanding the theoretical aspects of the profession, from the foundations of cooking to the source and costs, through to the hazard analysis and critical control points, or ‘HACCP’, a systematic, preventive approach to food safety from biological, chemical and physical hazards in production processes that can cause the finished product to be unsafe, and to design measures to reduce these risks to a safe level. Putting that knowledge to the test came next with internships at some of the leading restaurants in Switzerland such as the Les Trois Rois in Basel and Prisma in Park Hotel Vitznau. 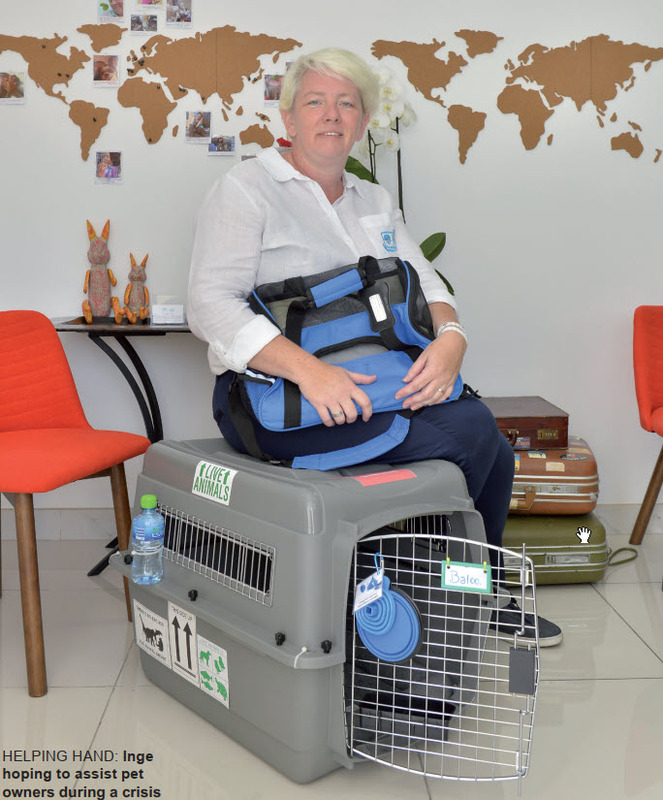 “The experience was very challenging at every level, but worth it in the end,” she admitted. She joined the hotel’s Fusions team at the end of September 2018 as Senior Sous Chef before taking up the head chef’s role and responsibilities and officially being appointed three months later. Chef Tala picked up her prize at the recent Gulf Hotels Group Staff Party. Nominations had been submitted by senior corporate executives and company GMs to CEO Garfield Jones, who had the task of judging the strength of each nomination. 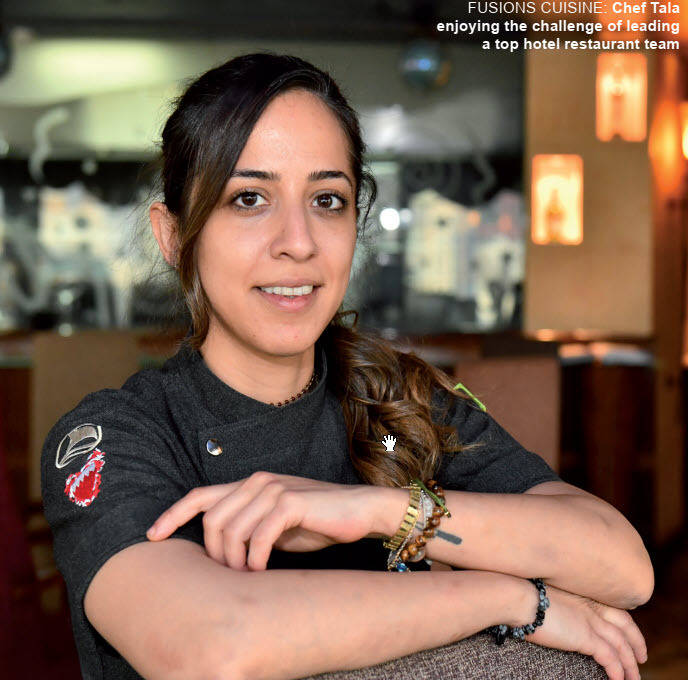 He said that since completing her training programme, Chef Tala had developed her own unique style of Bahrain fusion cuisine, appeared as a guest chef at a number of renowned restaurants in the region and, since taking over the reins of Fusions had ‘significantly increased revenues’ and ‘enhanced the reputation’ of the outlet and the hotel. He also admired the way she had actively promoted both on social media and had developed ‘an enviable reputation’ in a very short space of time for creating exciting, imaginative dishes. “She possess an amazing vision for someone so young and without doubt has an incredible future ahead of her. We’re proud to have her as part of our team,” he said. The Gulf Hotel may be celebrating its 50th anniversary but is continuing to invest in its future. As reported in GulfWeekly, major renovation work has taken place at its Sherlock Holmes and Al Waha outlets, the La Pergola Italian restaurant is now graced with the talents of multi-Michelin starred Italian chef, Giancarlo Perbellini after a BD200,000-plus transformation, and a similar sum will be invested in rooftop restaurant Fusions, set to reopen with an outdoor terrace under the guidance of Tala. What next for Tala? “Renovations for Fusions are in the works, so a more daring and fun avant-garde menu will be set for the relaunch. The Gulf Hotel have been supporting and pushing me to always strive for greatness. 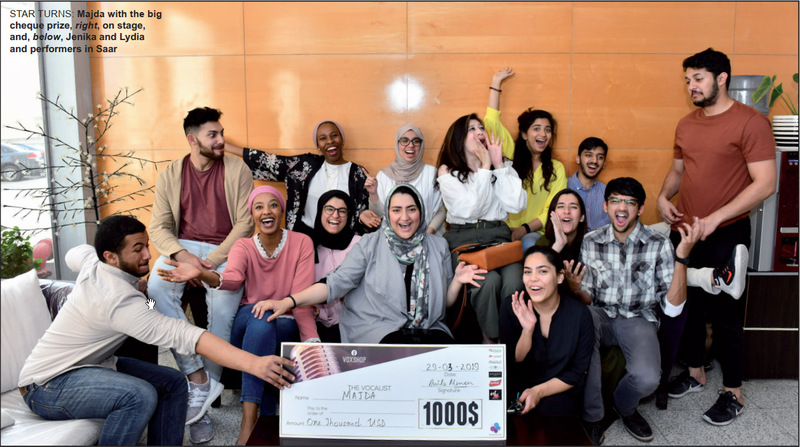 Not only that, but they had the faith to allow me to take over Fusions with my own vision,” she added, thanking Garfield, GM Fares Yactine, last year’s winner and recently-promoted deputy GM Charbel Hanna, and food & beverage manager Sunuj Deen. On the cooking front, she highlighted British celebrity chef Heston Blumenthal and Grant Achatz, an American chef and restaurateur often recognised for his contributions to progressive cuisine, for their ‘sheer creativity and madness’. Chef Tala has shared three of her unique dishes, the first two will be on the coming Fusions menu and the last remains a firm favourite.